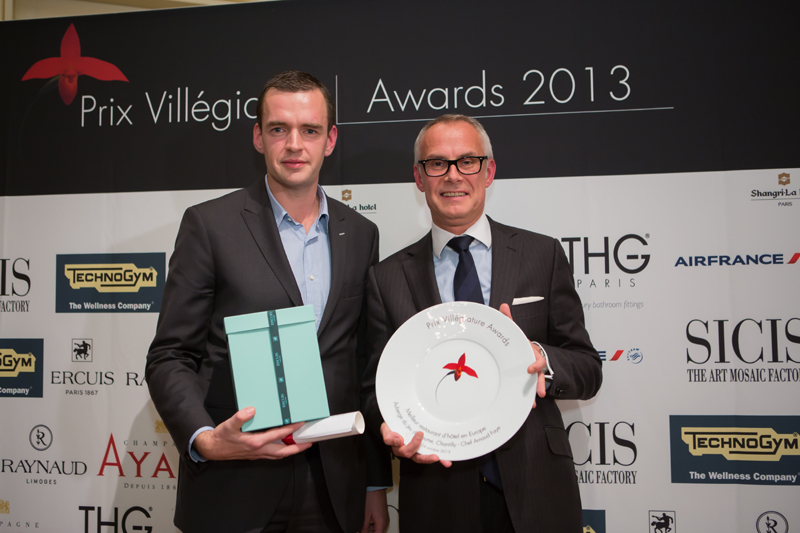 Chef Arnaud Faye got in 2013 the Villegiature Award as Chef of the ” Table du Connetable” and enabling the luxury Auberge du jeu de Paume – a five stars charming hotel facing the iconic and magnificent Chateau de Chantilly very close to Paris – to get the title of Best Restaurant in a Hotel in Europe. The restaurant obtained quasi simultaneously to this annoucement a second Michelin star. 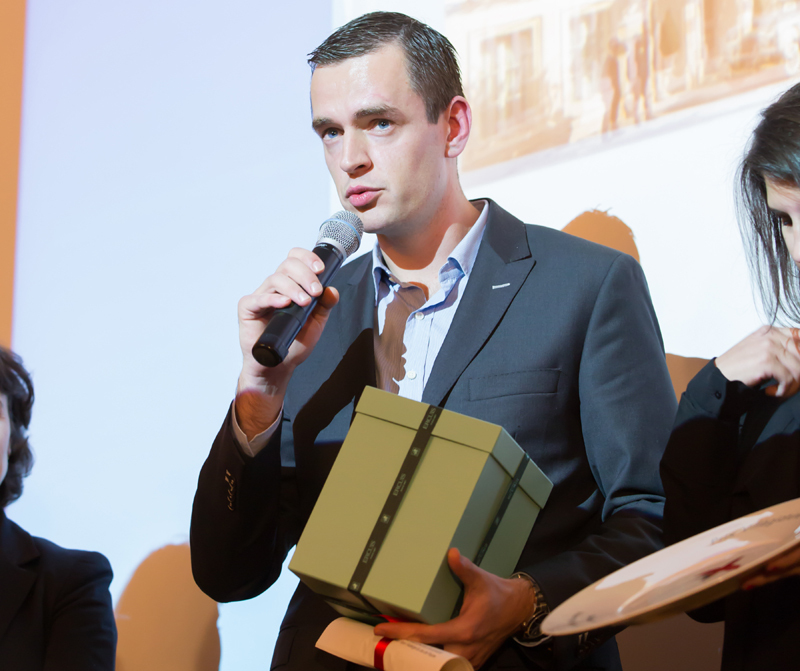 Arnaud Faye (left) and Pascal Groell, General Manager of L’Auberge du Jeu de Paume receive the trophies realized by Ercuis & Raynaud on Oct. 18th 2013, at Shangri- La Hotel in Paris for the 2013 Villegiature Awards announcements. Arnaud Faye arrived in Chantilly in 2012. Previously he had worked with several renown chefs all over France like Patrick Henriroux at La Pyramide in Vienne a few kilometers southern Lyon (nominated at the 2015 Villegiature Awards ), Michel Roth at palace Hotel Ritz de Paris rewarded also at the Villegiature Awards (The Ritz de Paris is currently finishing its deep restructuration and refursbishement), and another iconic Chef Thierry Marx at the Paris Mandarin Oriental Hotel . Now Arnaud Faye, who is considererd by its peers as one of the most brilliant Chef, arrives at Le Château de la Chèvre d’Or in Eze very near Monte-Carlo, and a few kilometers from Nice , facing the blue Mediterranée. A new beautiful challenge for one of the most promising chef in the world.